Want to convert WebP to PNG? WebP is a truly innovative and unique image format. Developed by Google, it is intended to create new competition for the most popular image formats used on the web: JPG, GIF, and PNG. Its uniqueness lies in its ability to combine the best features of the three formats. WebP provides lossy compression with a 30% better image quality compared with JPG, easily plays animation like GIF, and like PNG keeps a transparent alpha channel but also offers lossy compression at the same time. Although it may sound great in theory, practically WebP has a few issues that prevent it from becoming the leading web image format yet. The main issue is that it is not yet supported by the majority of web browsers or mobile devices. While the three aforementioned formats can be easily opened even on a 2000’s cell phone and posted on any web page, WebP requires a specific environment to function in. It works fine with Google Chrome and Android in general but won’t open in Safari or on any iOS device. So, if you have WebP images that need to be put on a website or your phone, it’s better to convert them into a more universal PNG format that still functions perfectly. The easiest way to do this is to use Movavi Video Converter. If you have a huge library of files it may be hard to convert them to a different format all at the same time. 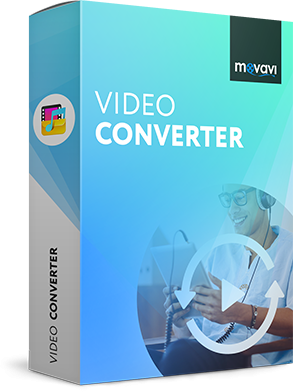 In this case, the convenient and powerful Movavi Video Converter can offer you fast and stable batch conversion, so you can convert many files at one time. To learn how to easily convert WebP to PNG, simply download the Windows or Mac version of the program and follow our instructions below. Download Movavi’s WebP to PNG converter from our website. Open the downloaded file and follow the onscreen instructions to install the software. Click Add Media and choose Add Images to select the WebP image(s) you want to convert. Open the Images section, click PNG and select the only preset for this format. To choose the folder where the converted files will be saved, click the Folder button and select the folder you want to transfer to your hard drive. Hit Convert to start the process. The output folder will open automatically after the conversion is complete. Now you know how to convert WebP to PNG with Movavi Video Converter. PNG is a popular format that is widely used on the internet. The main features of the format are transparency support and lossless compression. However, these two features are implemented in WebP as well. So have a look at the comparison table below to see the pros and cons of each format.